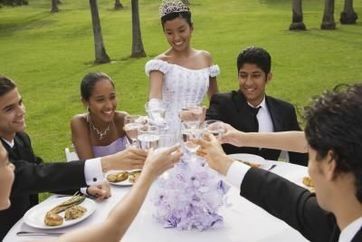 How to Give Her the Absolute BEST Quinceanera in Niagara! Quincenaeras are a long standing hispanic family tradition!It is the 15th birthday celebrated for every Hispanic lady marking her step into womanhood. It is a tradition deeply rooted in the Hispanic culture. This is where the parents, mainly the “Padrinos” or godparents, arrange a party to celebrate the new woman in the family. For the young ladies it is a very special time because it's a time where she can rejoice with her family and invite all her friends to celebrate at her house or at a restaurant and have the traditional pinata and traditional punch drinks, as well as music. She wears a beautiful colorful dress and dances with parents and relatives. These memories she will keep in her heart forever! 1) Gather a list of all your family, relatives (Padrinos) and friends - Get a list of all your family, relatives and friends to put on your party list. Ensure you have your Padrinos listed, and invite them to sponsor a specific area of your party (for example: the limo ride). Once the list is done, we can get an accurate headcount to choose the appropriate limousine for your party. 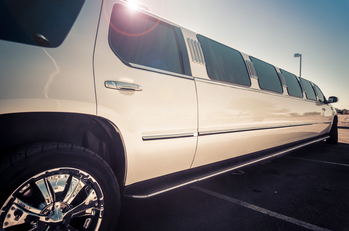 St Catharines Limousines has classic limos, stretch limos, SUVs and party buses for your every need. 2) Get a list of your music and bring your phones to take pics for social sharing - make sure you have a list of the traditional and favorite music that you want to listen to during the ride. St. Catharines Limos come with electrical outlets so you can recharge your iPhone or android device for access to your music. 3) Prepare a simple thank you speech for your Padrinos - Prepare a simple speech thanking your family, as well as one of the most important people in your party: the sponsors or “padrinos” or godfathers. Make sure that you have a couple of words written out, practiced or memorized so that you can share with and honor them by thanking them for all the effort and the investment they have made into your life; not only on the party but also on you as a person. 4) Have a blast with your friends riding the coolest limo in town - we at St. Catharines Limousines pride ourselves for having the latest and most elegant limos and party buses for all your Quincenaera needs. Liven your party up with impressive interiors full of cool colors, dancing floor, sound system, video system and even a smoke machine! 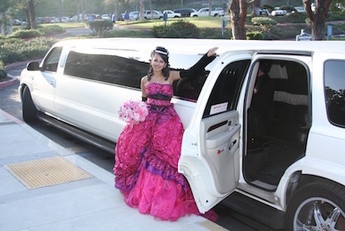 You’ll have everything you need to celebrate your Quinceanera with flair. Thank you for your patronage, and we look forward to doing business with you soon! Her quinceanera & make it a day to remember!